I stand here today humbled by the task before us, grateful for the trust you have bestowed, mindful of the sacrifices borne by our ancestors. I thank President Bush for his service to our nation, as well as the generosity and co-operation he has shown throughout this transition. Forty-four Americans have now taken the presidential oath. The words have been spoken during rising tides of prosperity and the still waters of peace. Yet, every so often the oath is taken amidst gathering clouds and raging storms. At these moments, America has carried on not simply because of the skill or vision of those in high office, but because we, the people, have remained faithful to the ideals of our forbearers, and true to our founding documents. In reaffirming the greatness of our nation, we understand that greatness is never a given. It must be earned. Our journey has never been one of short-cuts or settling for less. It has not been the path for the faint-hearted – for those who prefer leisure over work, or seek only the pleasures of riches and fame. Rather, it has been the risk-takers, the doers, the makers of things – some celebrated but more often men and women obscure in their labour, who have carried us up the long, rugged path towards prosperity and freedom. For us, they packed up their few worldly possessions and travelled across oceans in search of a new life. For us, they toiled in sweatshops and settled the West; endured the lash of the whip and ploughed the hard earth. For everywhere we look, there is work to be done. The state of the economy calls for action, bold and swift, and we will act – not only to create new jobs, but to lay a new foundation for growth. We will build the roads and bridges, the electric grids and digital lines that feed our commerce and bind us together. We will restore science to its rightful place, and wield technology’s wonders to raise health care’s quality and lower its cost. We will harness the sun and the winds and the soil to fuel our cars and run our factories. And we will transform our schools and colleges and universities to meet the demands of a new age. All this we can do. All this we will do. Nor is the question before us whether the market is a force for good or ill. Its power to generate wealth and expand freedom is unmatched, but this crisis has reminded us that without a watchful eye, the market can spin out of control – that a nation cannot prosper long when it favours only the prosperous. The success of our economy has always depended not just on the size of our gross domestic product, but on the reach of our prosperity; on the ability to extend opportunity to every willing heart – not out of charity, but because it is the surest route to our common good. As for our common defence, we reject as false the choice between our safety and our ideals. Our founding fathers, faced with perils we can scarcely imagine, drafted a charter to assure the rule of law and the rights of man, a charter expanded by the blood of generations. Those ideals still light the world, and we will not give them up for expedience’s sake. And so to all other peoples and governments who are watching today, from the grandest capitals to the small village where my father was born: know that America is a friend of each nation and every man, woman, and child who seeks a future of peace and dignity, and we are ready to lead once more. We are the keepers of this legacy. Guided by these principles once more, we can meet those new threats that demand even greater effort – even greater cooperation and understanding between nations. We will begin to responsibly leave Iraq to its people, and forge a hard-earned peace in Afghanistan. With old friends and former foes, we will work tirelessly to lessen the nuclear threat, and roll back the spectre of a warming planet. We will not apologize for our way of life, nor will we waver in its defence, and for those who seek to advance their aims by inducing terror and slaughtering innocents, we say to you now that our spirit is stronger and cannot be broken; you cannot outlast us, and we will defeat you. As we consider the road that unfolds before us, we remember with humble gratitude those brave Americans who, at this very hour, patrol far-off deserts and distant mountains. They have something to tell us, just as the fallen heroes who lie in Arlington whisper through the ages. We honour them not only because they are guardians of our liberty, but because they embody the spirit of service; a willingness to find meaning in something greater than themselves. And yet, at this moment – a moment that will define a generation – it is precisely this spirit that must inhabit us all. Our challenges may be new. The instruments with which we meet them may be new. But those values upon which our success depends – honesty and hard work, courage and fair play, tolerance and curiosity, loyalty and patriotism – these things are old. These things are true. They have been the quiet force of progress throughout our history. What is demanded then is a return to these truths. What is required of us now is a new era of responsibility – a recognition, on the part of every American, that we have duties to ourselves, our nation, and the world, duties that we do not grudgingly accept but rather seize gladly, firm in the knowledge that there is nothing so satisfying to the spirit, so defining of our character, than giving our all to a difficult task. This is the meaning of our liberty and our creed – why men and women and children of every race and every faith can join in celebration across this magnificent mall, and why a man whose father less than 60 years ago might not have been served at a local restaurant can now stand before you to take a most sacred oath. "Let it be told to the future world…that in the depth of winter, when nothing but hope and virtue could survive…that the city and the country, alarmed at one common danger, came forth to meet [it]." YOU WALK YOUR DOG twice a day, every day for five years — with very few exceptions — along the same neighborhood route, and you get to learn a few things besides when to watch your step. You get to know a place in a very intimate way just by walking its streets and observing the goings on. So when you have to leave that place, it is like losing a part of your day. But it’s nice to know that I still have the memories and the friendships. And I still have the dog who made it all possible. Off we go to make new memories and observations in a new part of town. 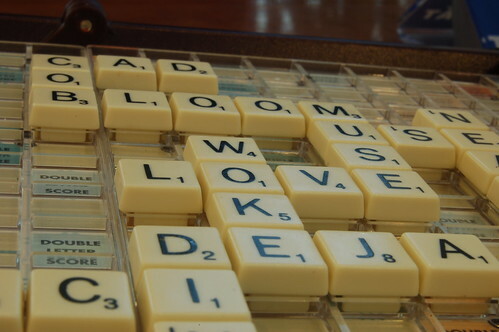 After I played a game of Scrabble with my sister, I thought it would make for a pretty cool macro shot. 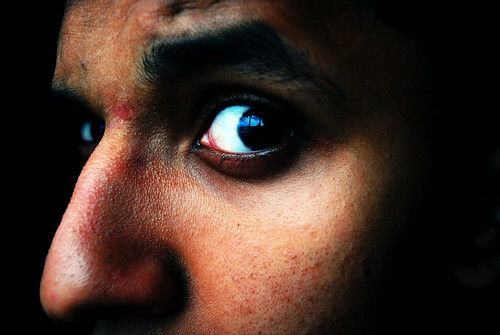 I really do love my 50mm lens. 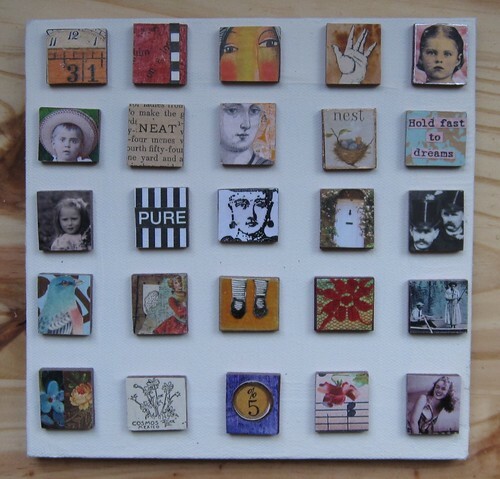 Cindy has these homemade magnetic Scrabble pieces (no doubt a gift from her mother). it turns out they are really useful for grocery lists and messages in the household. 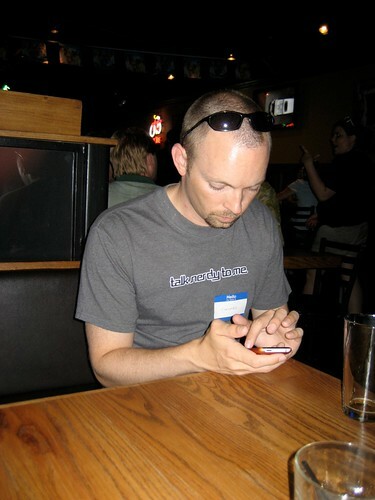 Me playing "Words with Friends" on my ihone on a beach on Cape Cod. 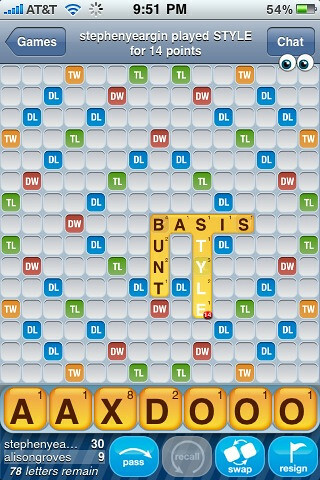 I had just played that word in Words With Friends. Bandwagon hopping here. 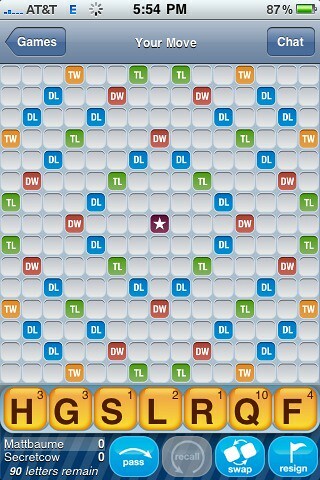 But those are the tiles you’re giving me, Words With Friends? Really? "Canada and India friends good relations," (his words) with the Bangle King of Delhi (our words). We came away with 4 boxes of shiny pretty coloured bangles for friends and family. So many colours! Bangle shopping is almost as much fun as sari shopping (and as retina-burning). Can this be called a self portrait? 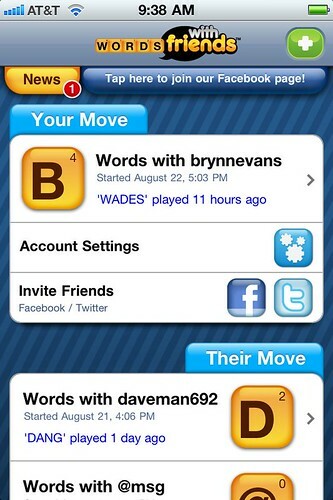 Getting addicted with the app "Words With Friends", anyone who plays this game on the iPod Touch/Phone add me "Jaidev"
Started the semesters college classes today. Will beat the **** out of the scores this time. I’m determined. Peace and love. ‘m gonna bounce. 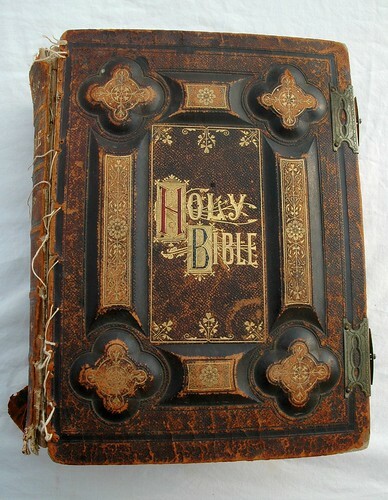 This is the original words with friends. Way better in my opinion. Hope you enjoy the edits. 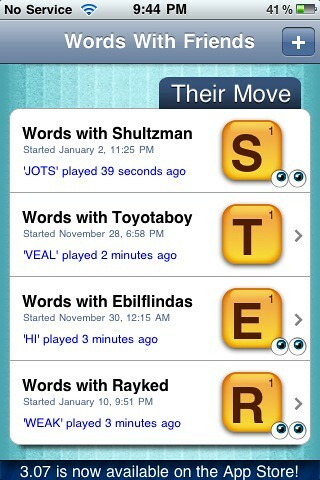 The ad isn’t weird, but it’s interesting that it’s in an iPhone Scrabble knock-off. 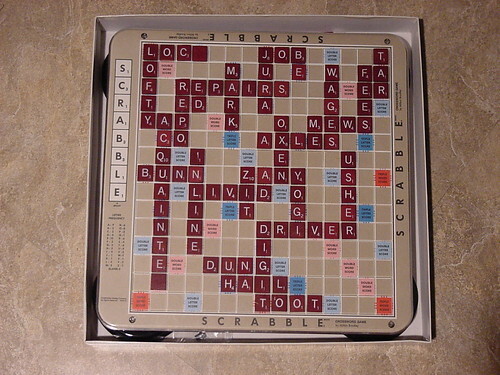 I decided to document all of my Scrabble games from here on out. There’s so much art in the game, so it kills me to have to scoop up those intricate arrays of words that took hours to piece together. 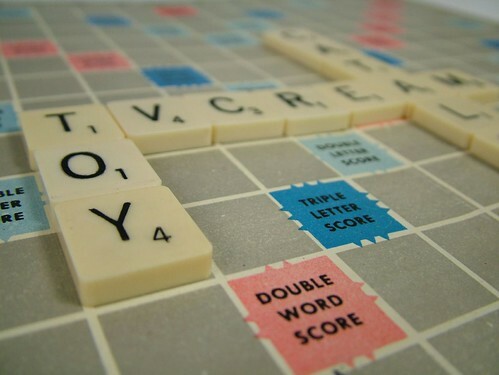 Close up photo of Spear’s Scrabble board game, taken from TV Cream Toys www.tvcreamtoys.co.uk – more photos, plus write ups, at the web site. We, the group, go to MoKaBe’s every Tuesday night. 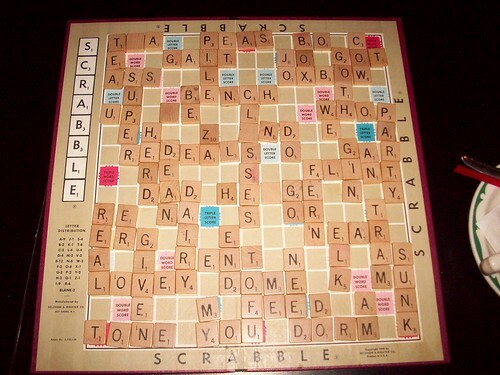 Lately we have been playing Scrabble. We don’t keep score, just play for fun until every letter’s gone so nobody ever wins,,, or loses. I will be keeping these as they are my first and would like to have them as a memento.